In the annals of UFO enthusiasts, experts, and true believers is footage from a 1996 space shuttle mission that they say not only shows a UFO presence but also, given new high-definition resolution of the images, proves that aliens exist. The Houston Chronicle delved into the mystery Sept. 17 in an effort to shed some light on a matter that NASA doesn’t comment on and UFO believers think remains in official darkness because it is proof positive of extraterrestrial life. The Space Shuttle Columbia’s video footage consists of what is now known as “the tether incident,” where a camera followed the deployment of a tethered satellite system until the tether (which was actually a 12-mile-long cable) broke. The mission, designated STS-75, was a joint operation between the U. S. and Italy. But what was supposed to be a routine deployment ended with the Tethered Satellite System, which was designed to investigate new sources of spacecraft power and ways to study Earth’s upper atmosphere, somehow separated, sending the satellite spinning off into the void. It is a video of the satellite drifting away that still, 18 years later, have UFO believers and conspiracy theorists talking. 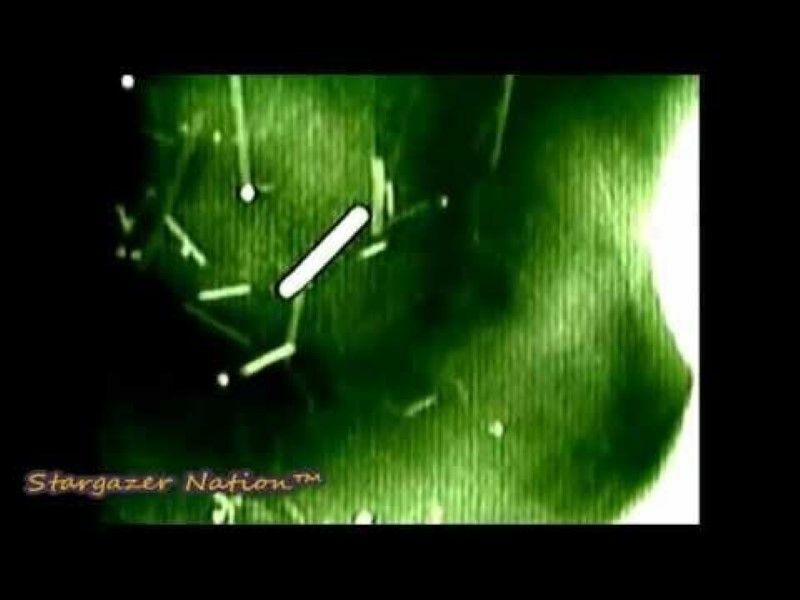 Earlier this month, YouTube went crazy with UFO watchers and their comments when Stargazer Nation posted a high definition enhancement of NASA’s “tether incident” footage. In the video itself, the cable (“tether”) can be seen as an elongated rod-shaped object. Floating around the cable appears several white dots and several other circular objects that seem to have holes at their centers. These unidentified flying objects are, according to enthusiasts, proof that aliens have interacted, at least peripherally, with humans. At the time, space shuttle astronaut Franklin Chang-Diaz explained the objects away as “a little bit of debris that kind of flies with us.” The debris, Chang-Diaz said, was simply catching and reflecting sunlight. But that explanation for the strange objects would not hold. The History Channel’s John Tindall explained that the images were a product of the camera’s telephoto lens that contains a circular mirror with a hole in the middle. It was the mirror, he said, that left an artifact on the video images. He also noted that the images were actually in the foreground, not the background. There is no mention of UFOs or any type of anomaly with regard to the “tether incident” in NASA’s archives. All that is said about the failed mission is done so in a clinical manner, something more descriptive than speculative. This, of course, does not deter conspiracy theorists and the true believers from charging cover-up. As you cannot disprove a negative (in this instance, that UFOs do not exist or that there’s nothing anomalous in the video), the debate will undoubtedly rage for decades to come. But it is an incident that even Snopes.com, known for debunking urban legends and Internet hoaxes, doesn’t cover. So is the new high definition images in the space shuttle video actual proof of aliens in our midst — or at least just outside our atmosphere? Or are the images simply pieces of space dust and debris manifested as UFOs by believers’ wishful thinking?